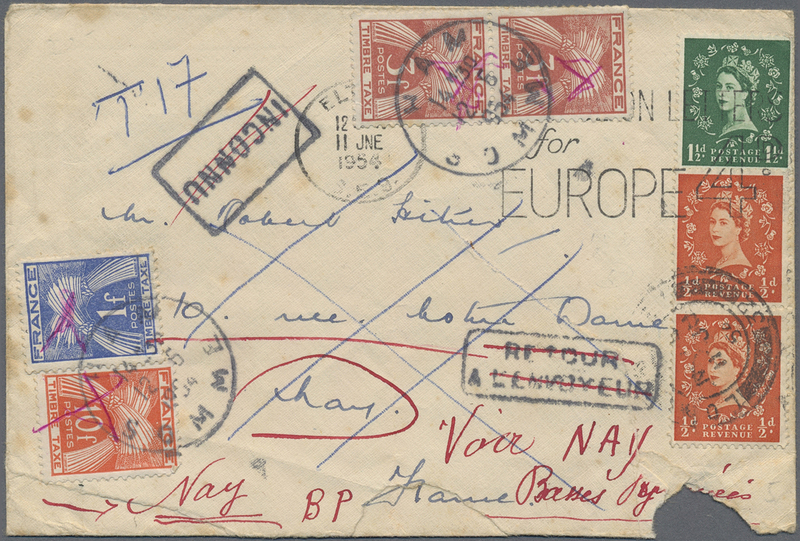 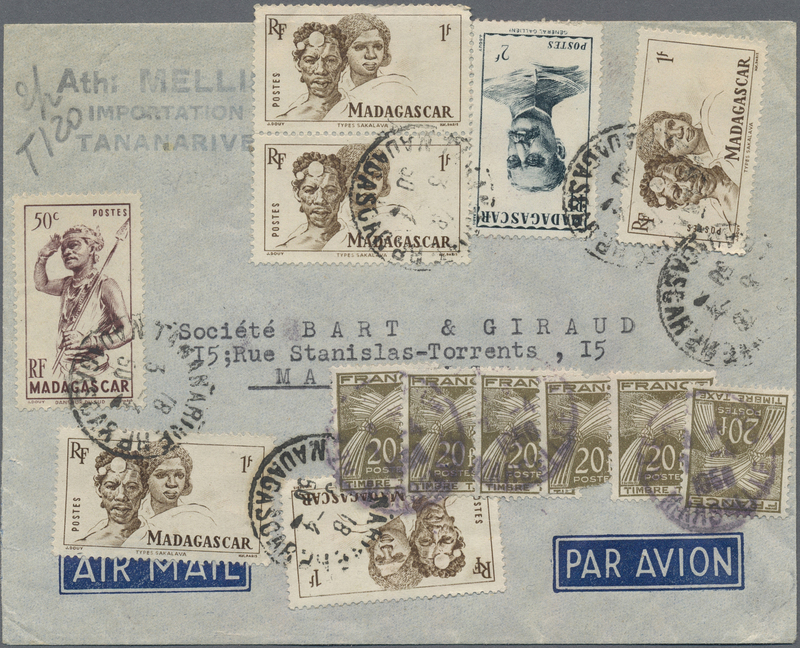 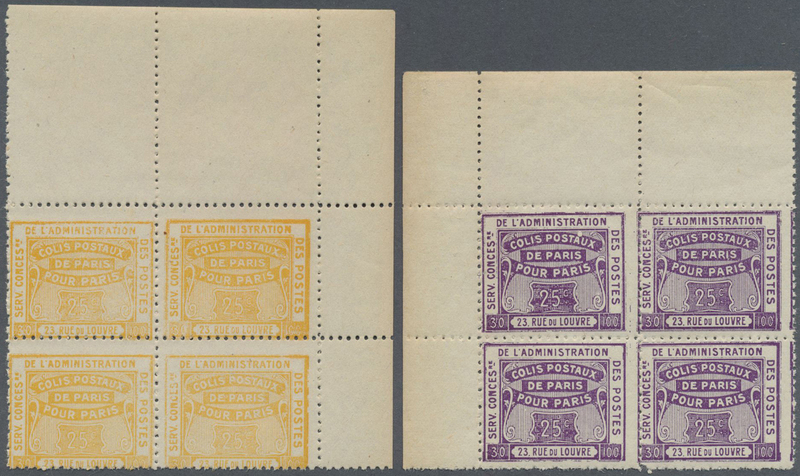 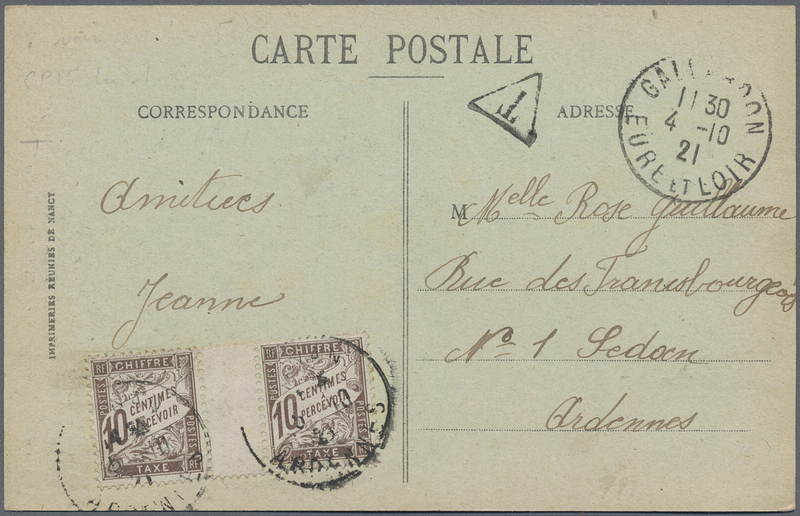 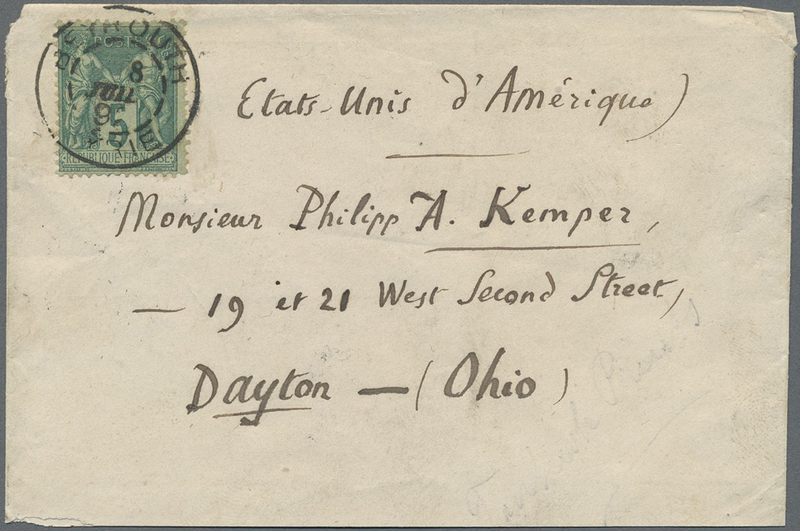 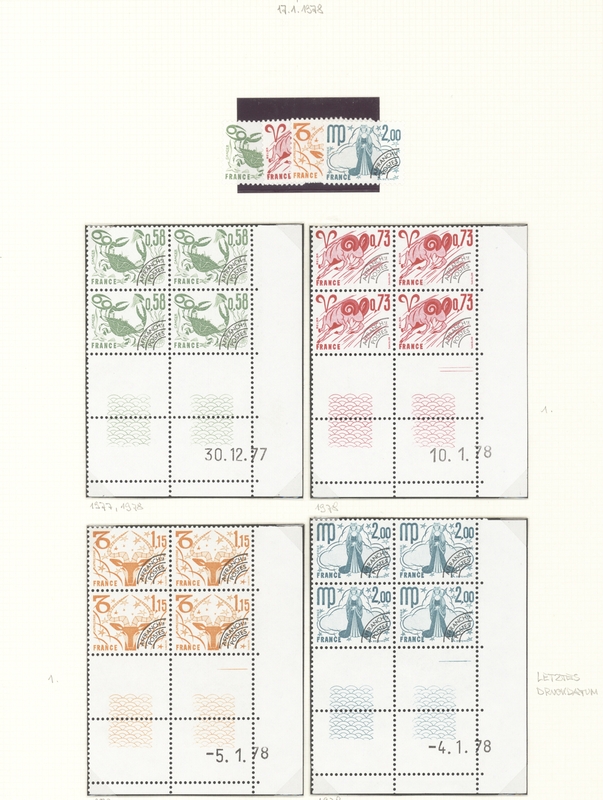 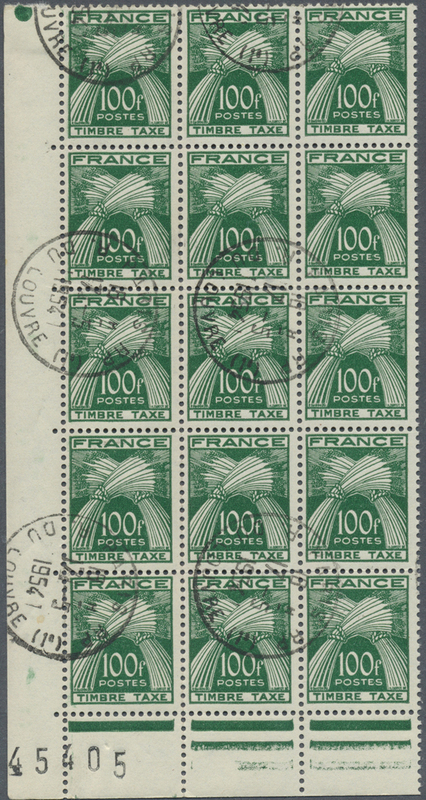 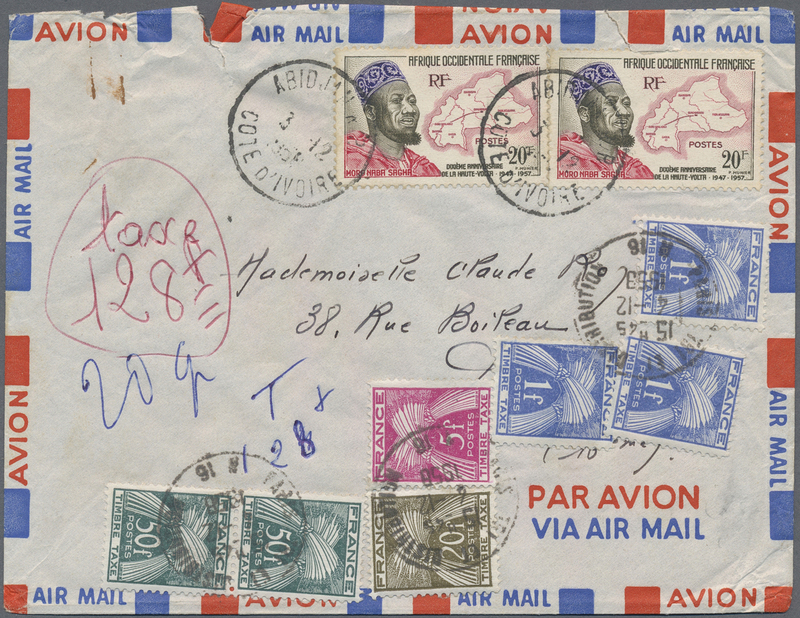 34755 postfrisch (never hinged) ** Maury 16A / 16 Aa Coupons for a free airmail package, block of four, téte-béche, the lower pair without the red colour. 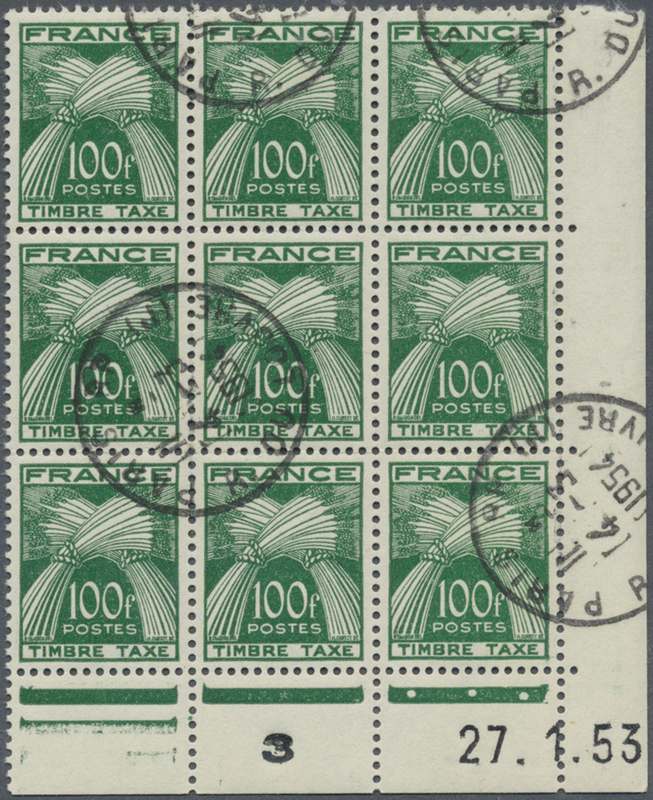 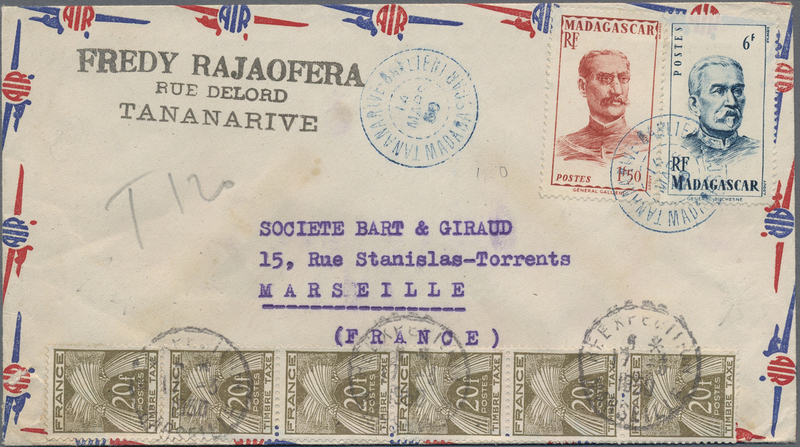 ÷ "Bon pour un Paquet en franchise postale per Avion", Exceptional bloc de 4, téte-béche, la paire inférieure sans la couleur rouge. 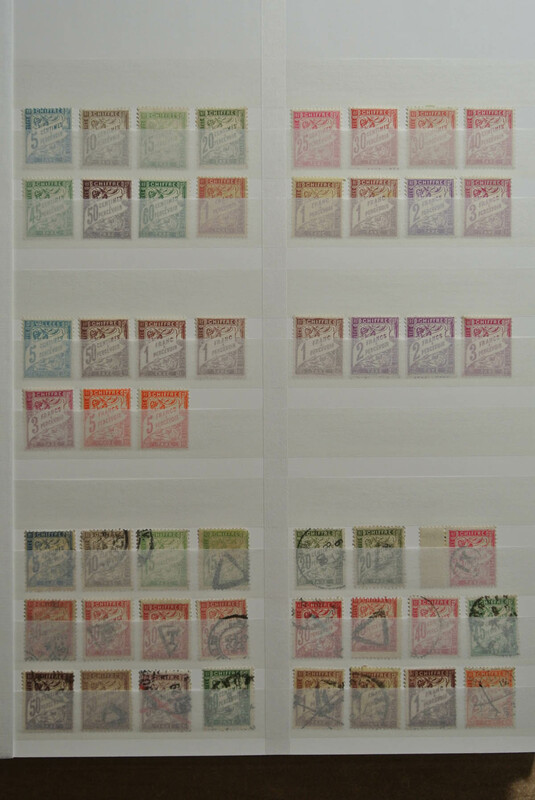 34767 postfrisch (never hinged) ** ungebraucht (hinged) * ungebraucht ohne Gummi (unused without gum) (*) 1901/1945 (ca. 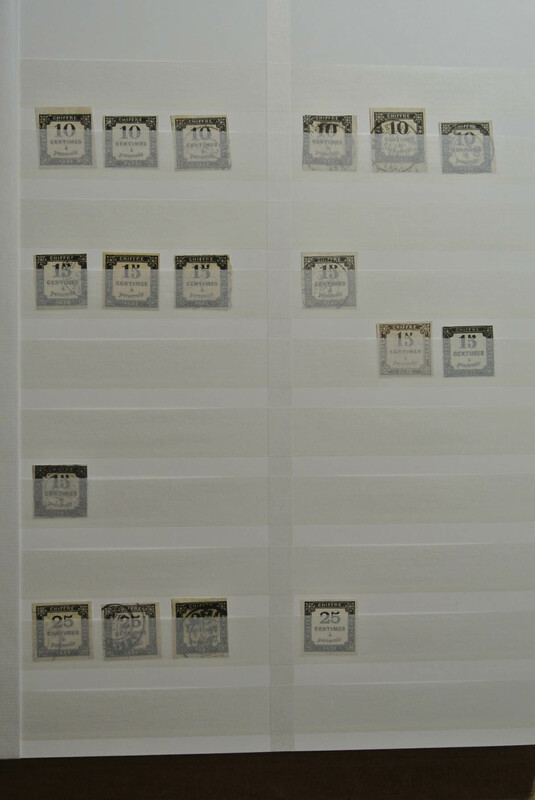 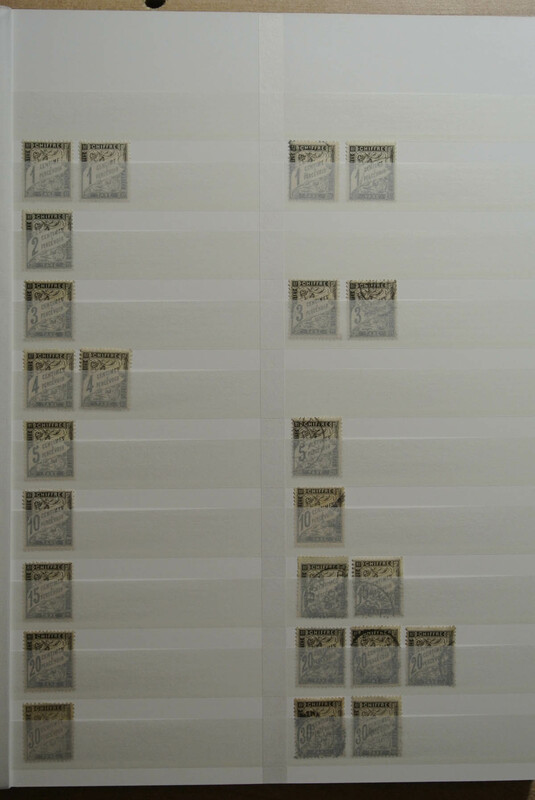 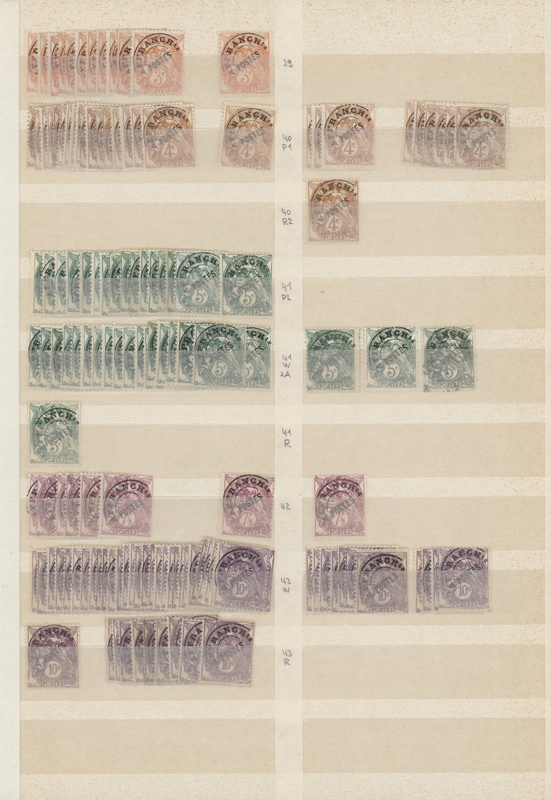 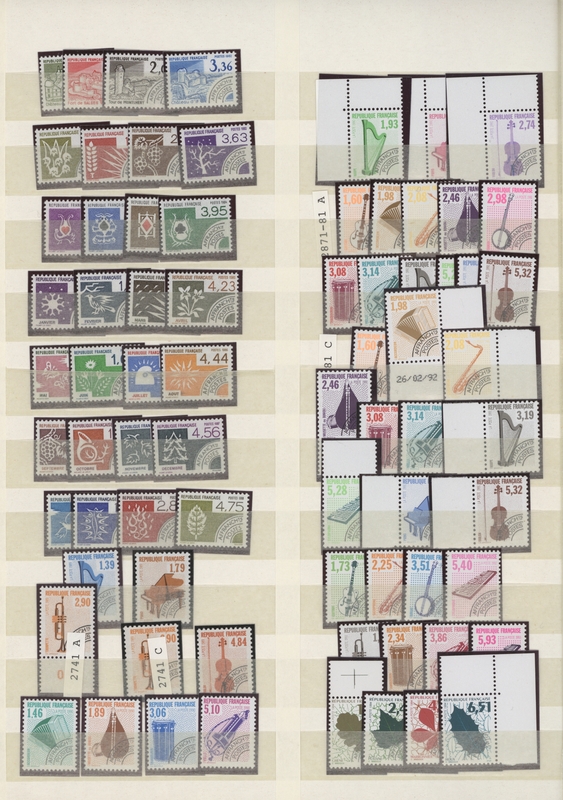 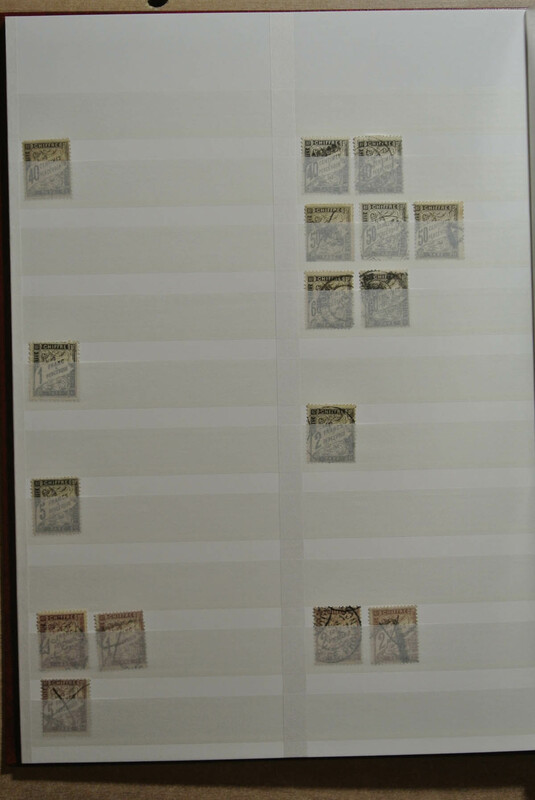 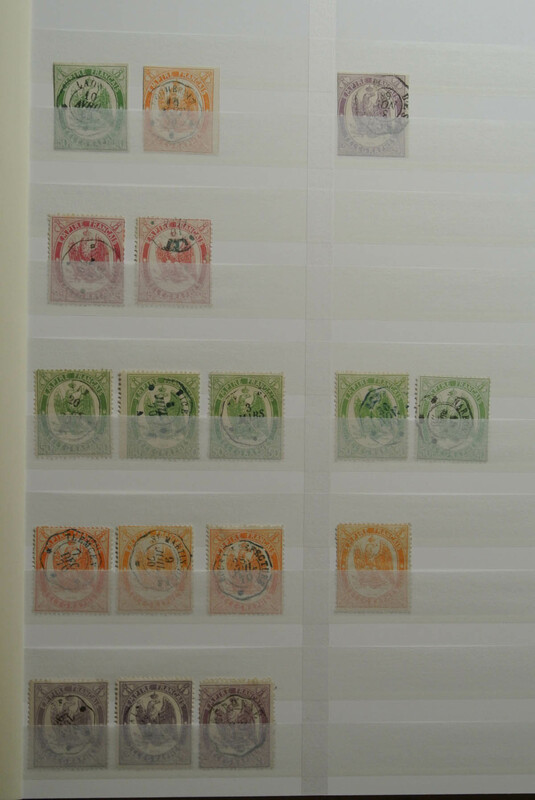 ), accumulation with hundreds of stamps on 15 large stockcards with some issues in very large quantities and with larger blocks incl. 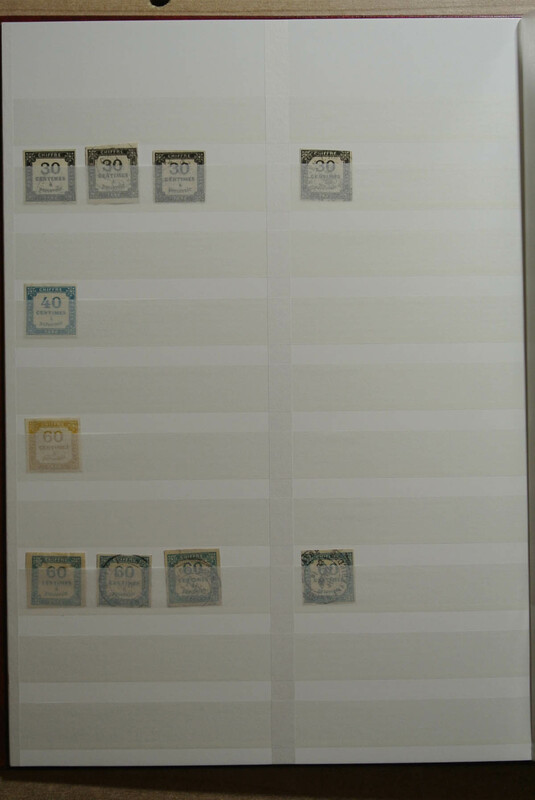 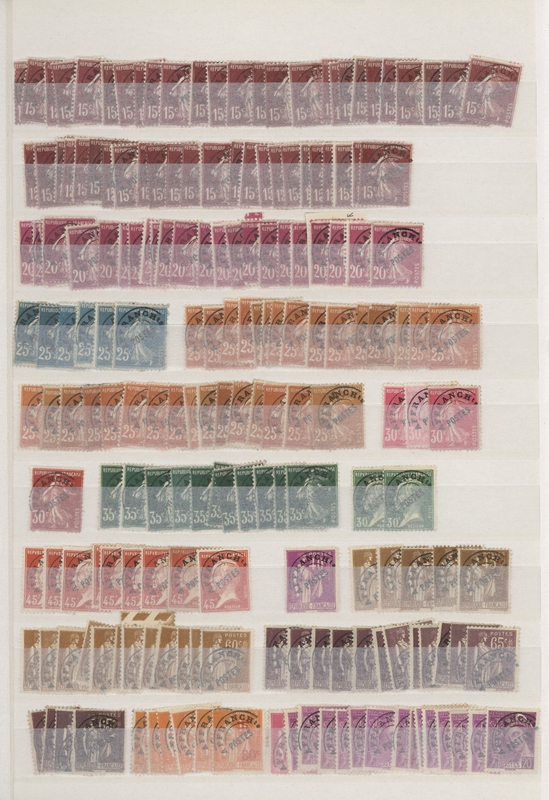 many better stamps, provisional surcharges, a few imperforate issues etc., mixed condition MNH, mint hinged or without gum with a very high cat. 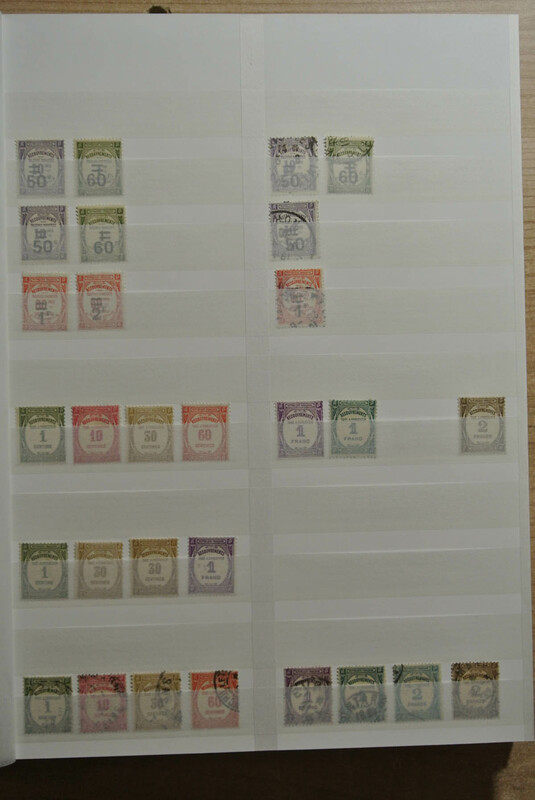 value, great study material! 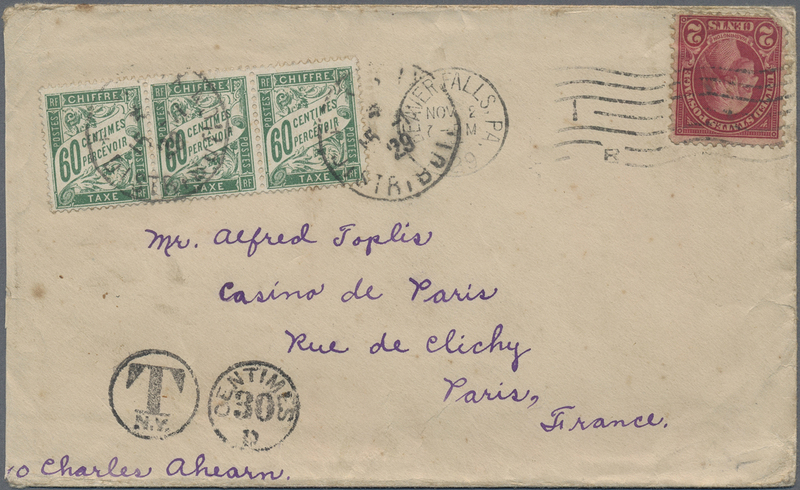 34789 Brief (cover) Ganzsache (Complete) 1894/1912, group of 14 covers/cards incl. 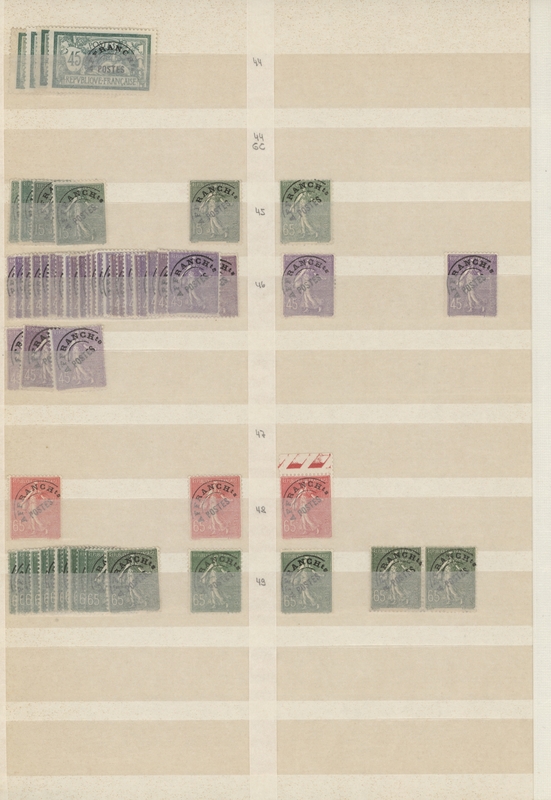 military mail/boxer uprising. 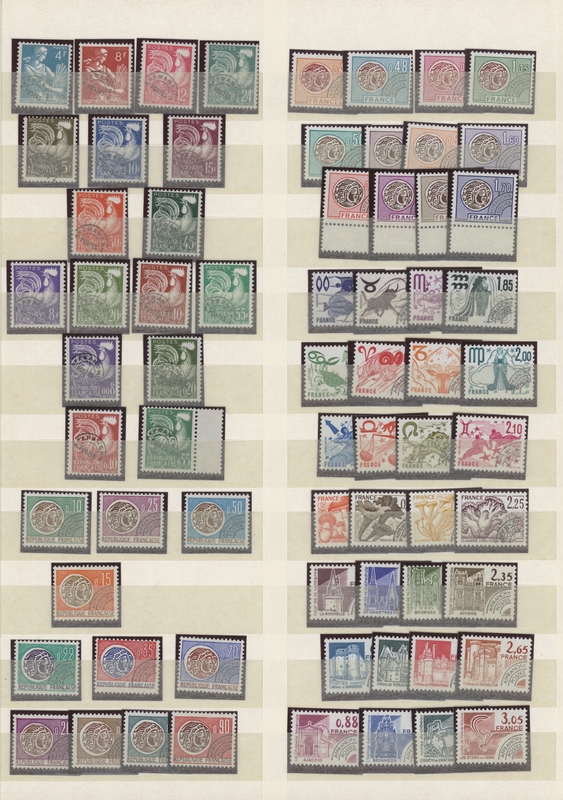 Nice lot of postal history! 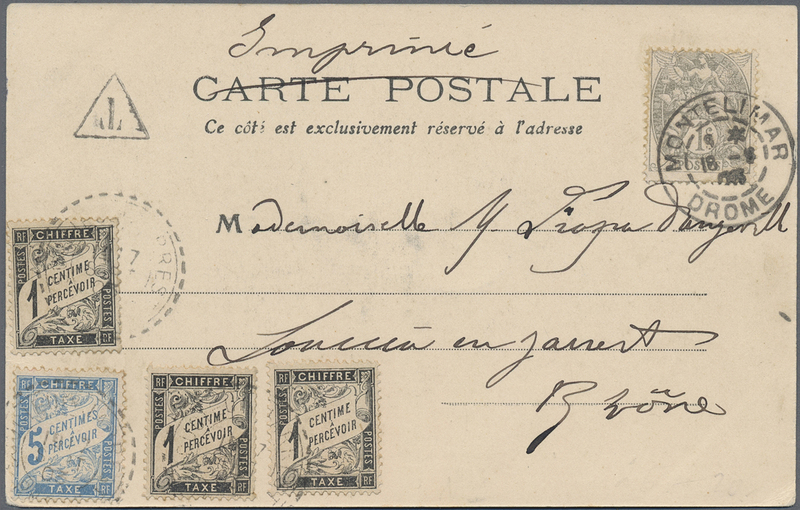 34790 gestempelt (marked) ungebraucht (hinged) * Briefstück (on piece) postfrisch (never hinged) ** Brief (cover) 1894/1922, mint and used collection of apprx. 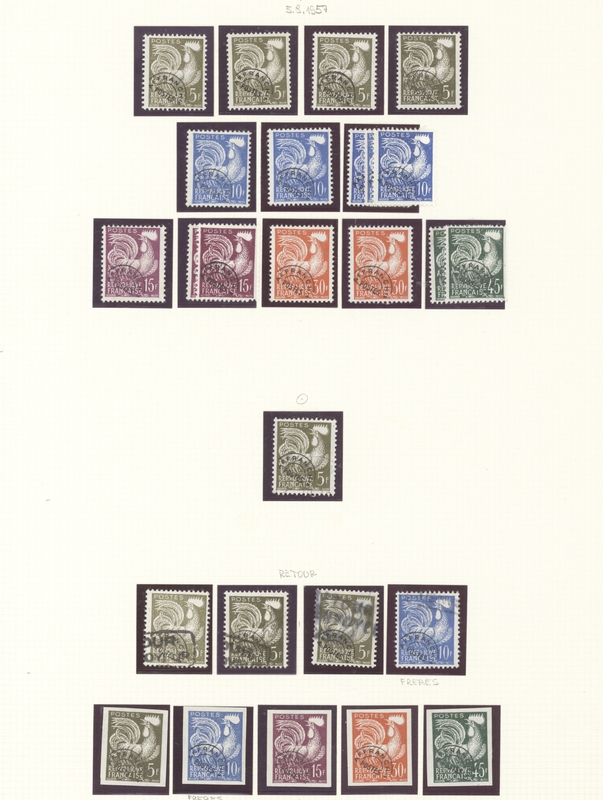 195 stamps on album pages, well collected throughout comprising all issues and partly showing a nice degree of specialisation incl. 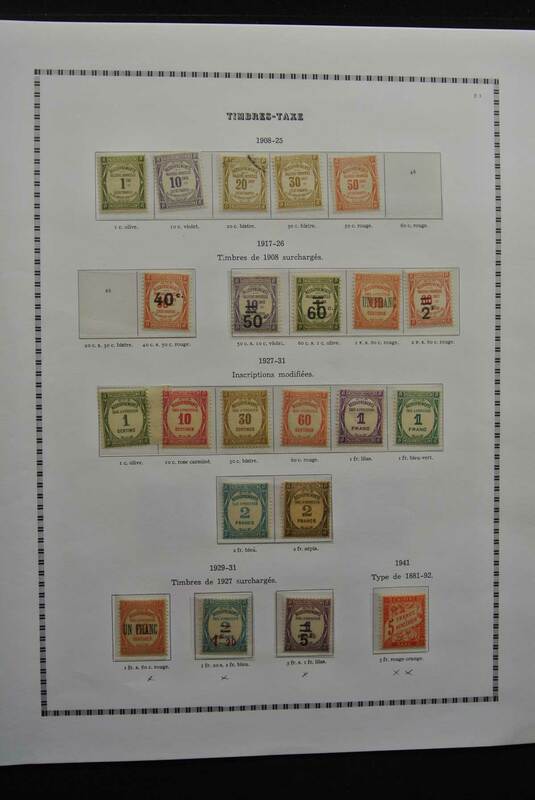 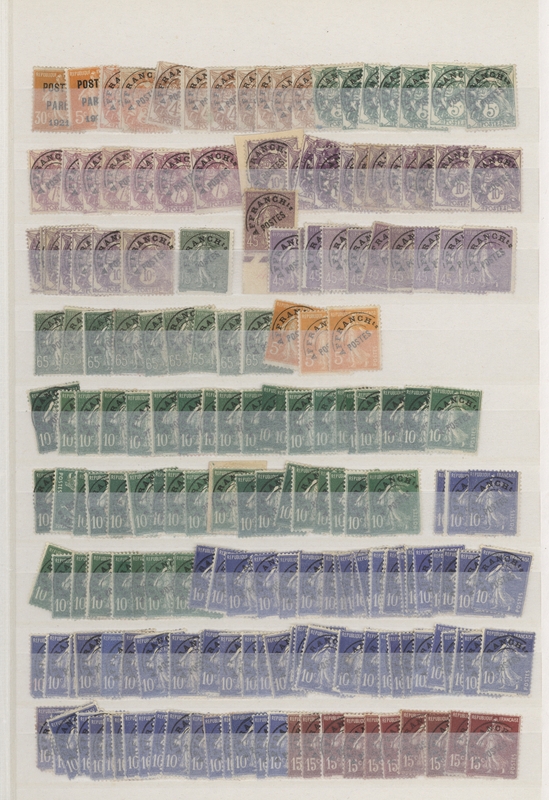 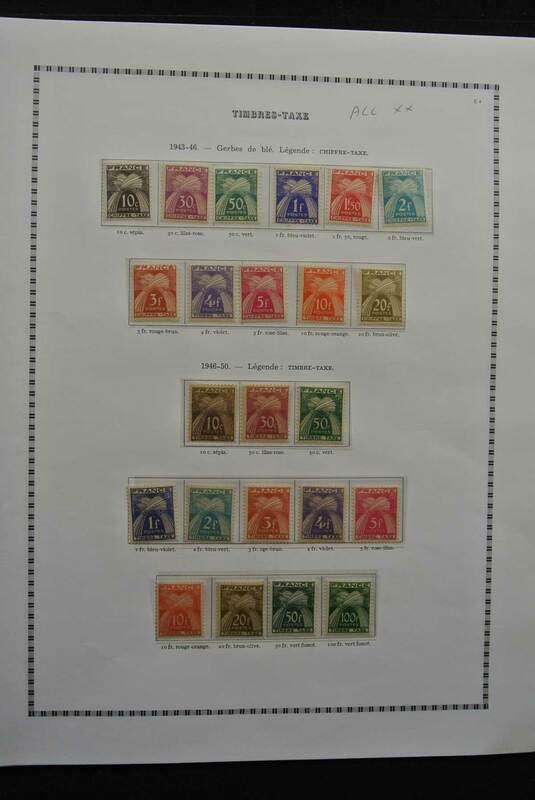 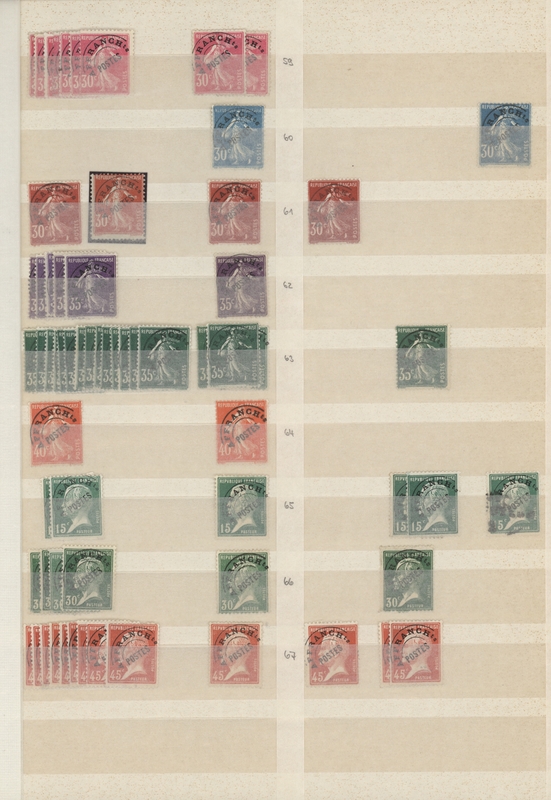 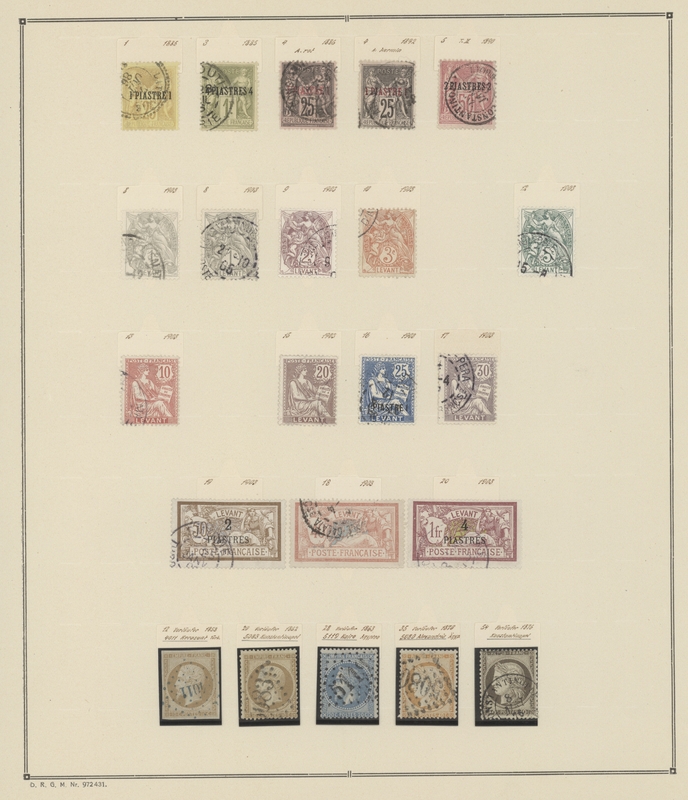 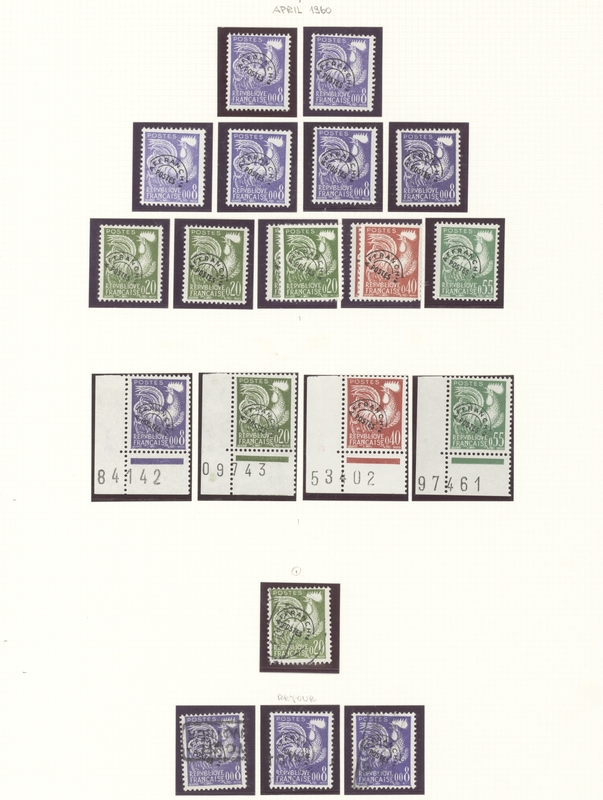 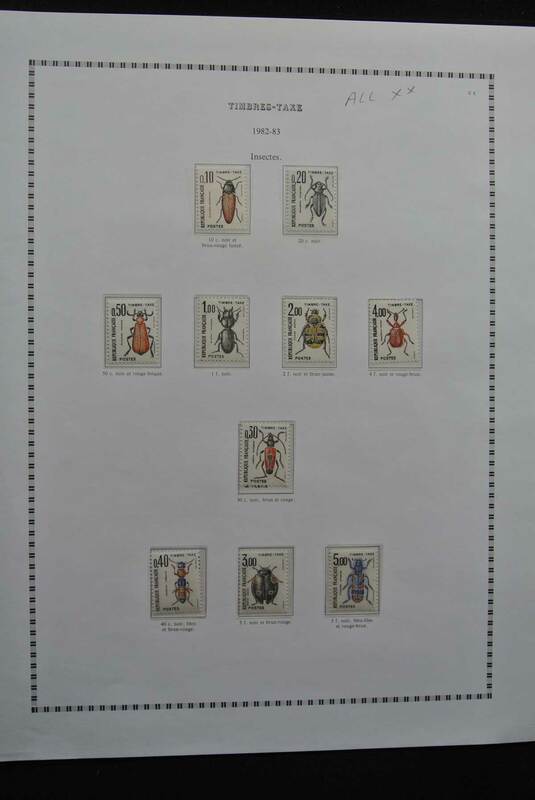 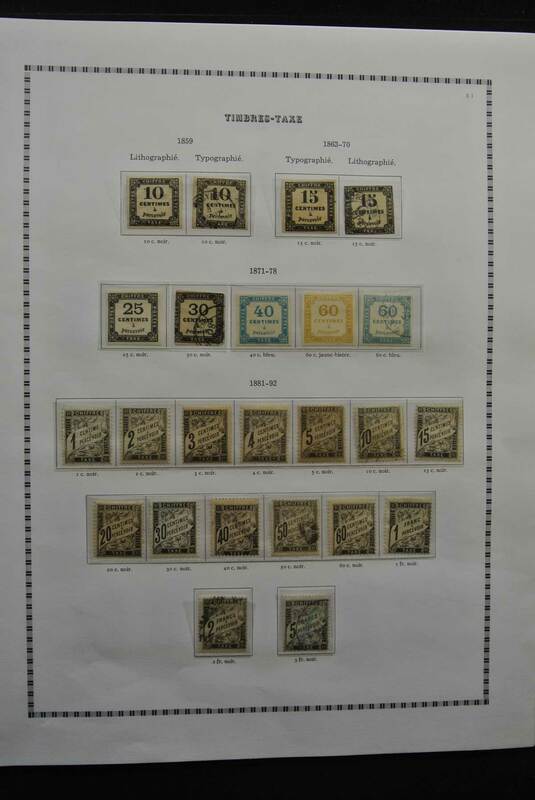 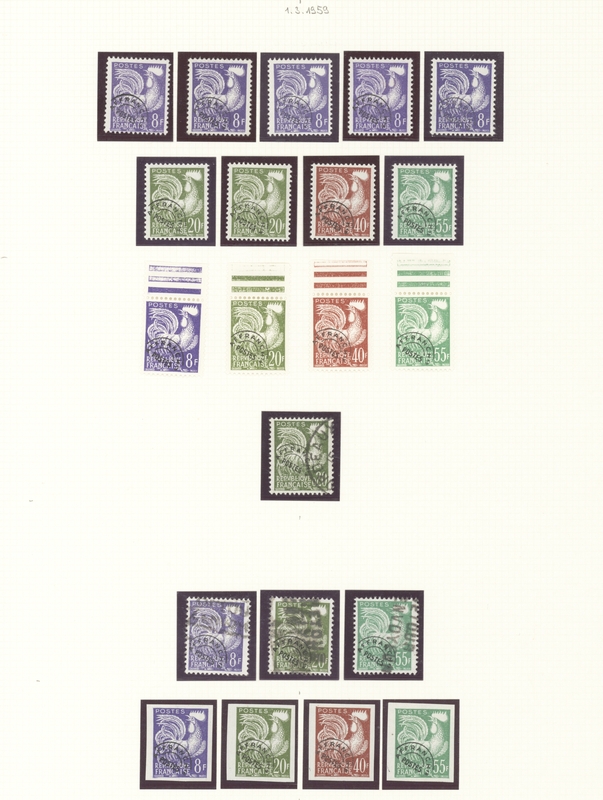 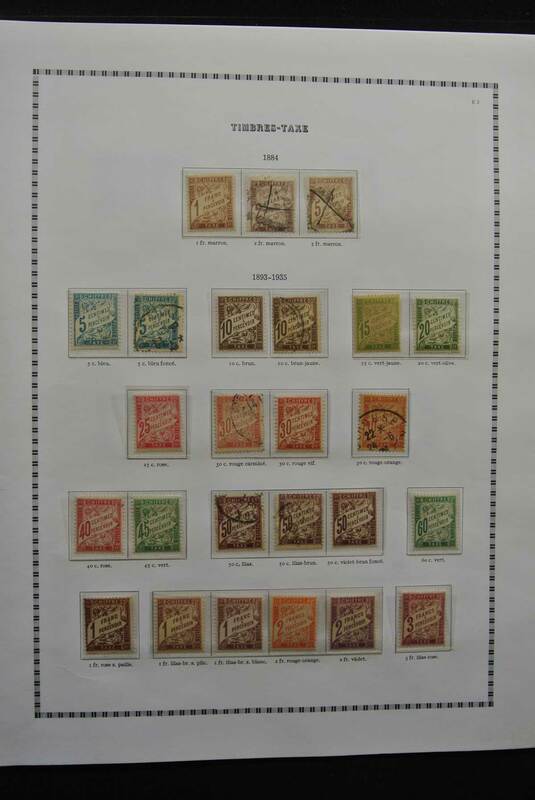 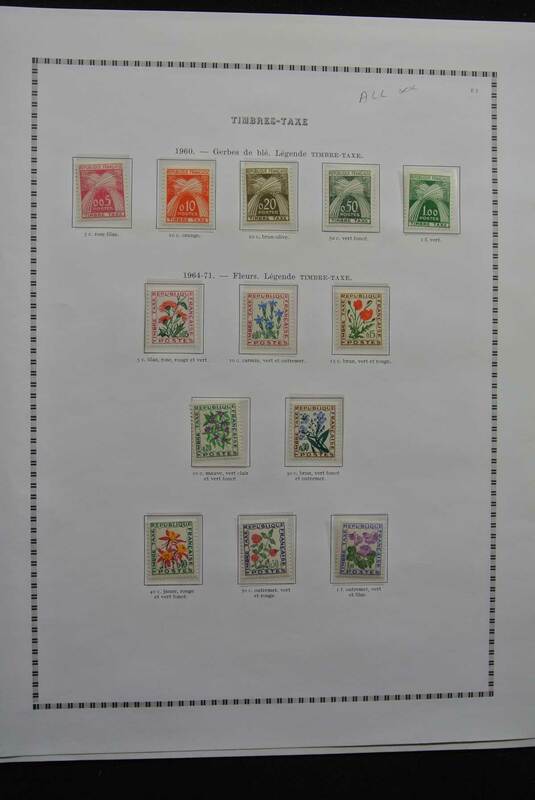 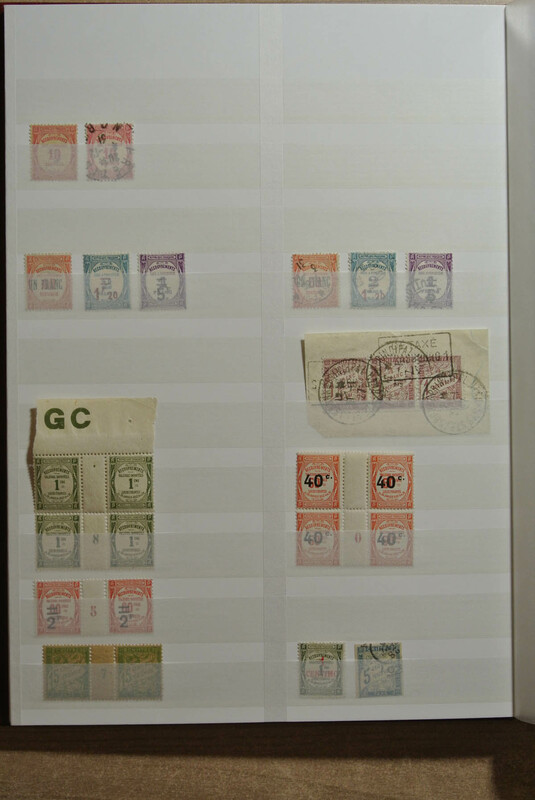 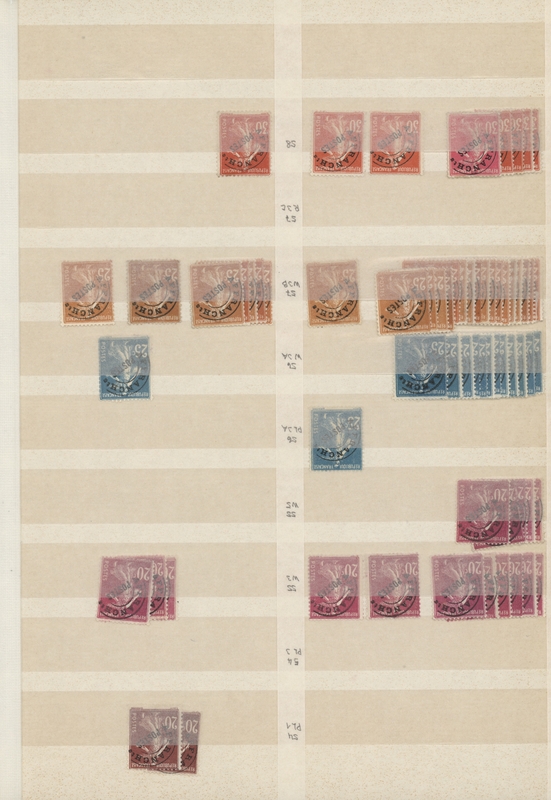 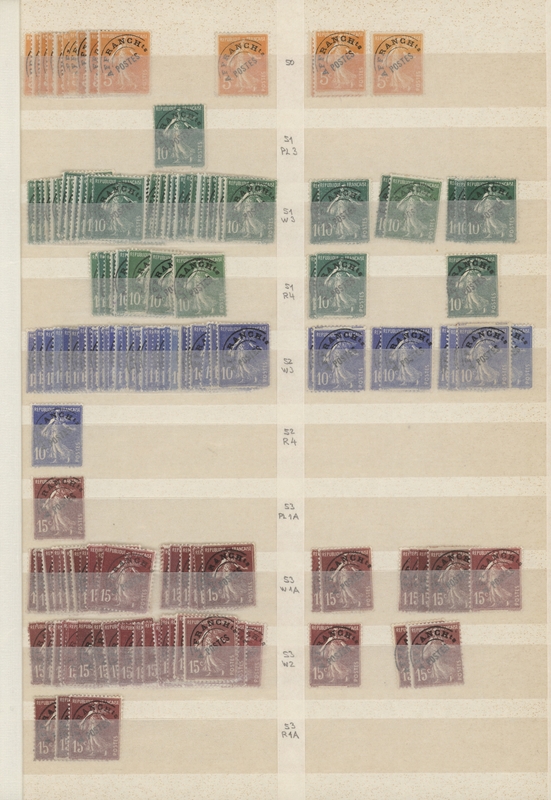 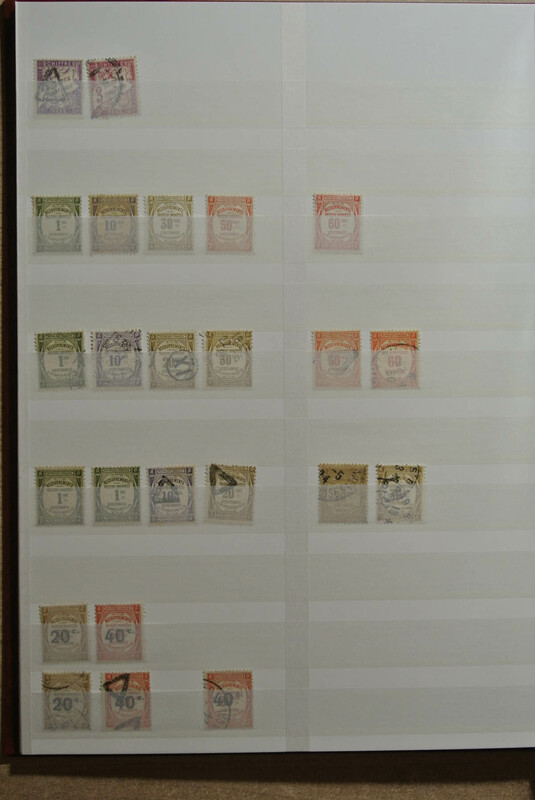 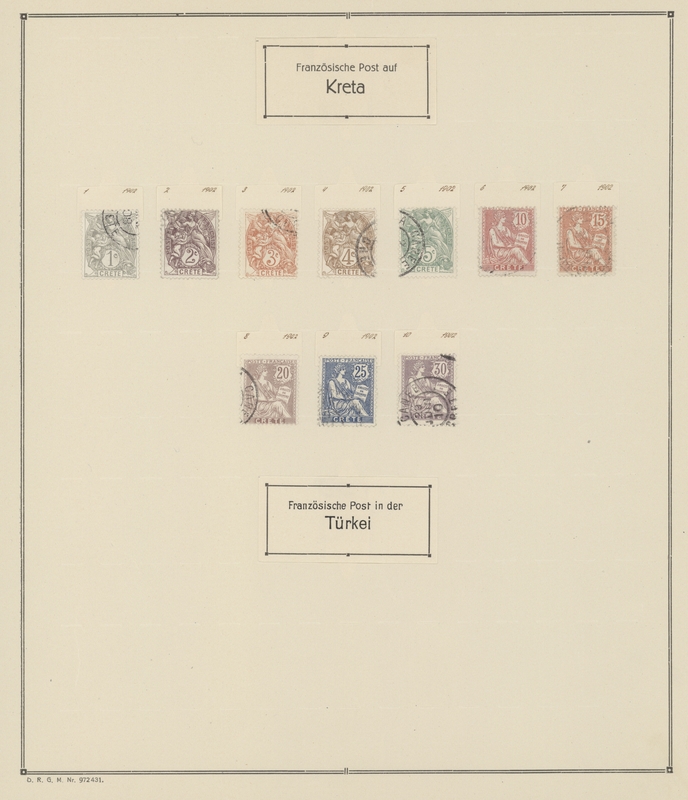 shades and types, several better overprints noted (some signed Scheller), postage dues etc. 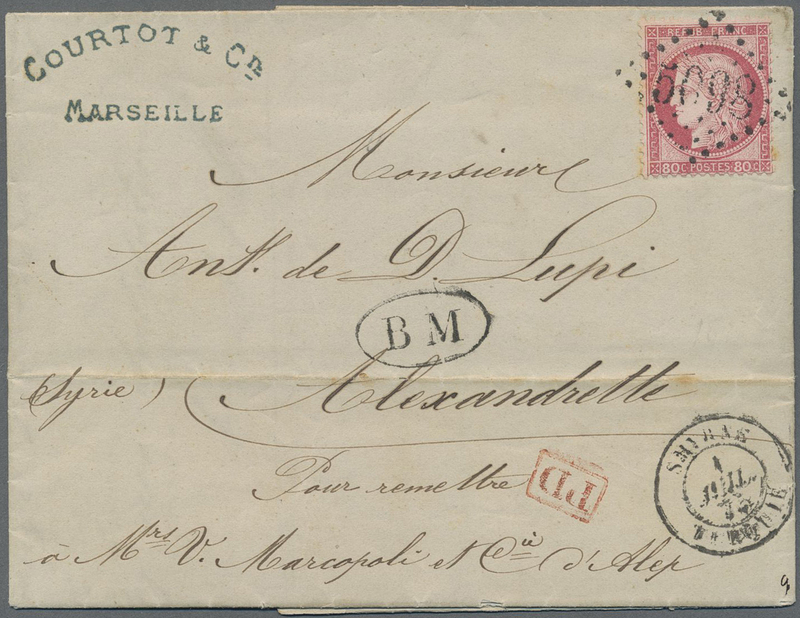 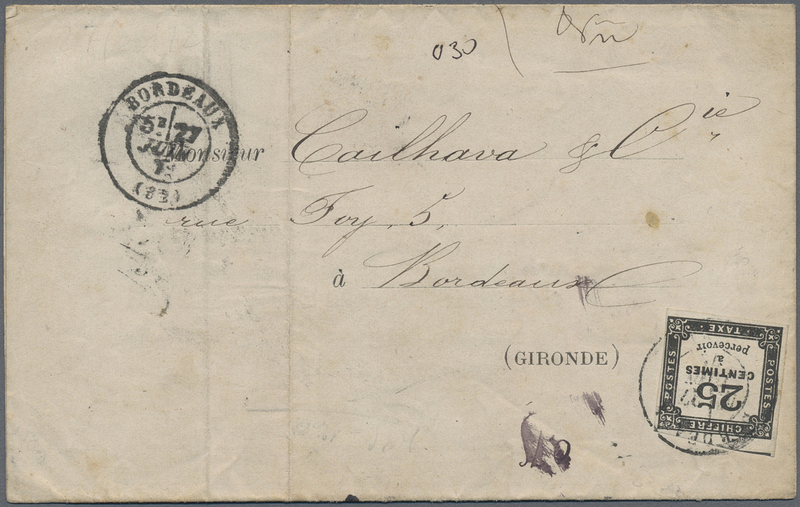 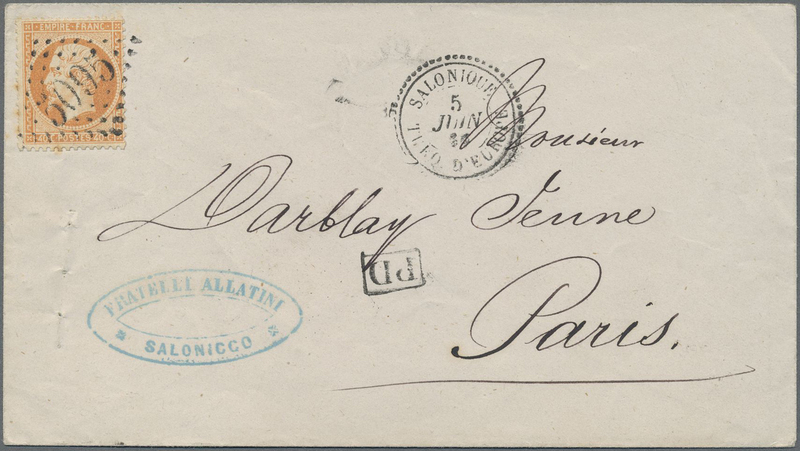 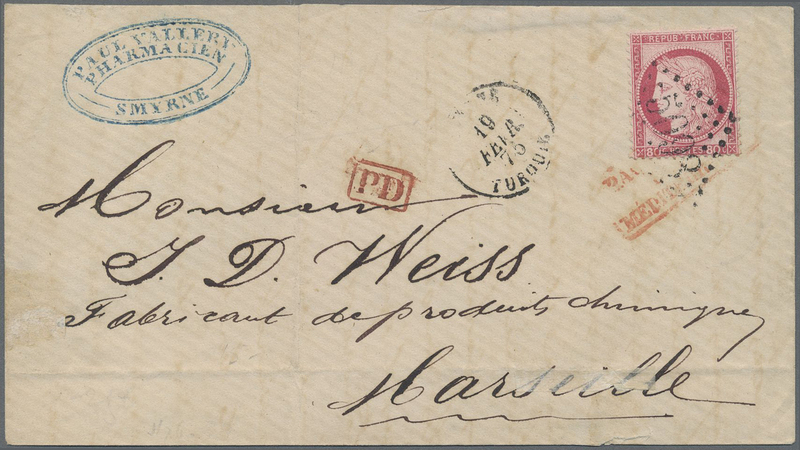 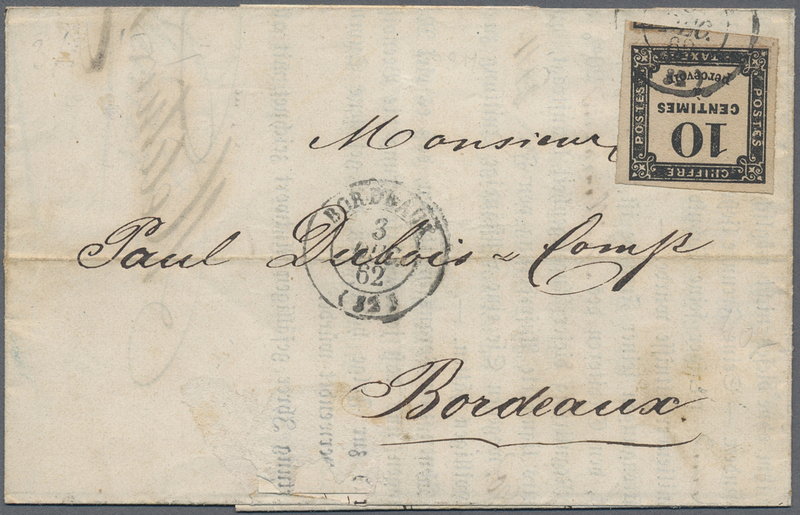 34791 Brief (cover) 1854/1856, six stampless letter sheets from Constantinopel to Malta in good condition. 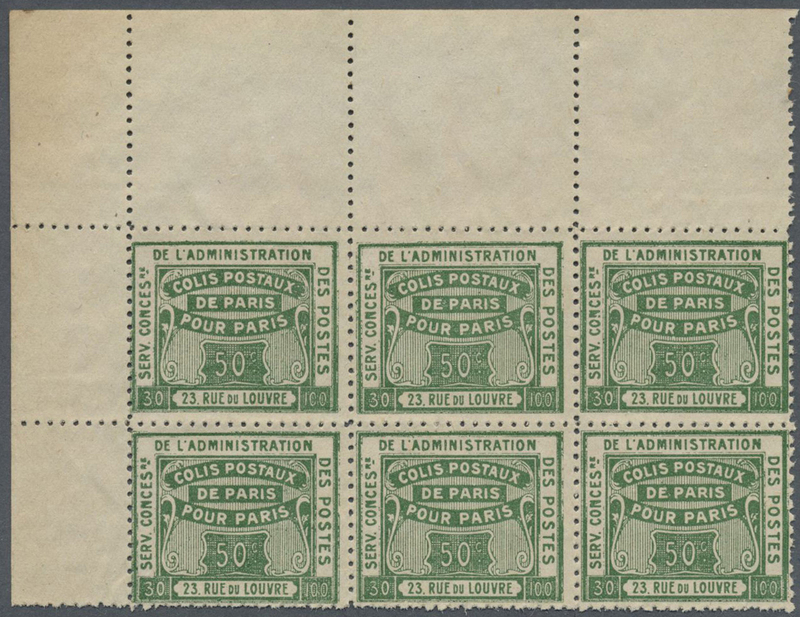 34794 postfrisch (never hinged) ** 39 (50) 1942, 2.50fr. 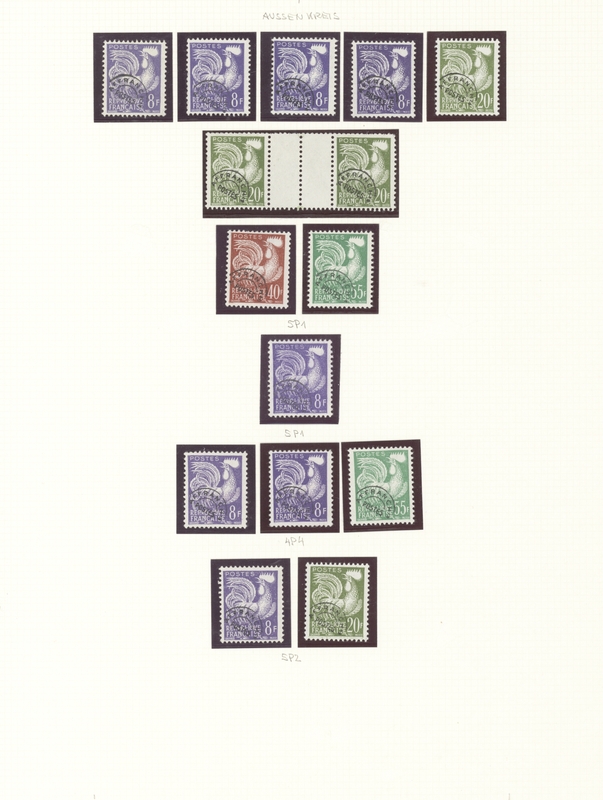 on 12½pi. 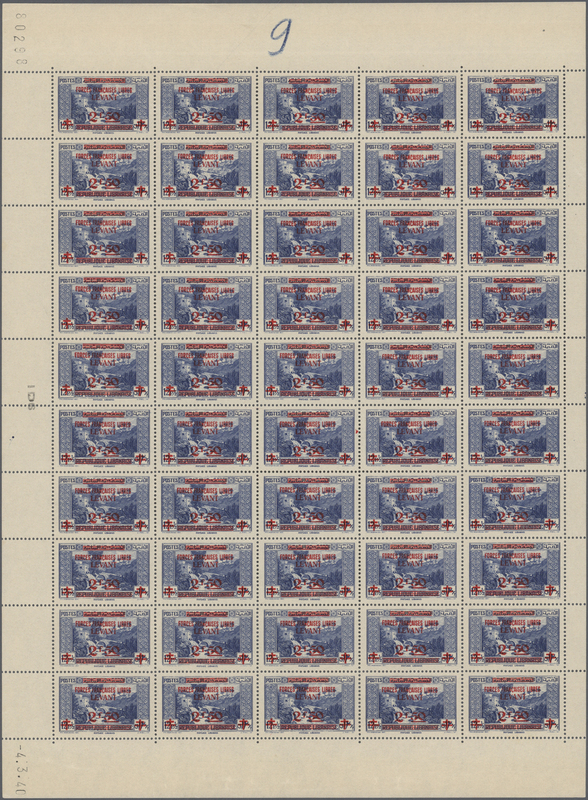 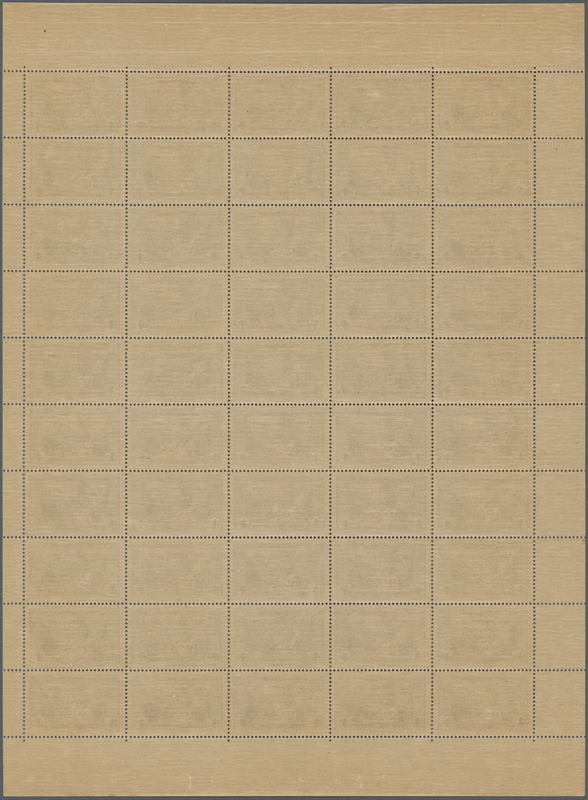 ultramarine, complete sheet of 50 stamps, unmounted mint. 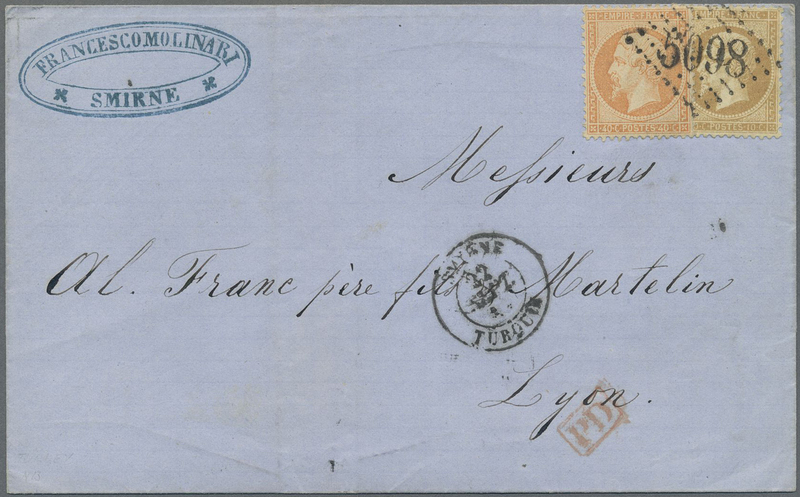 Maury F.F.L. 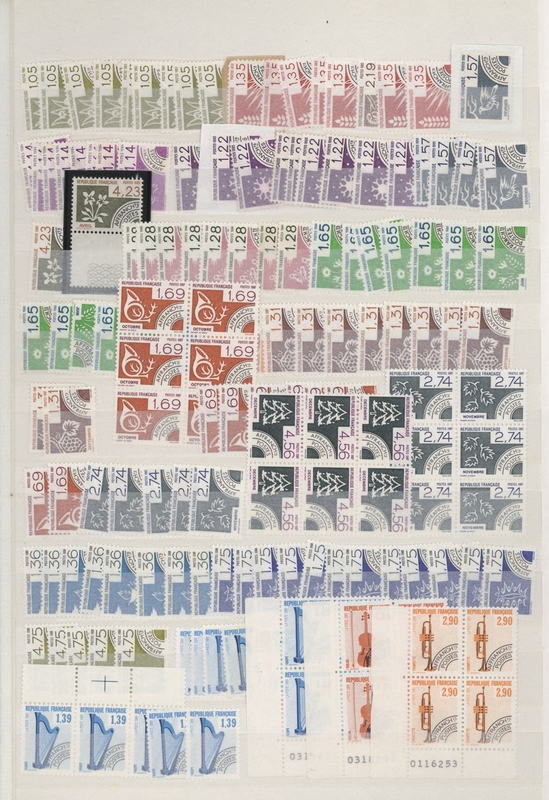 3, 800,- €.